Many travel insurance shoppers have questions about annual multi-trip travel insurance plans. Savvy travelers may want to buy one travel insurance policy a year rather than several policies for each individual trip they take. However, they also want to make sure the annual insurance coverage is the right one for their needs. 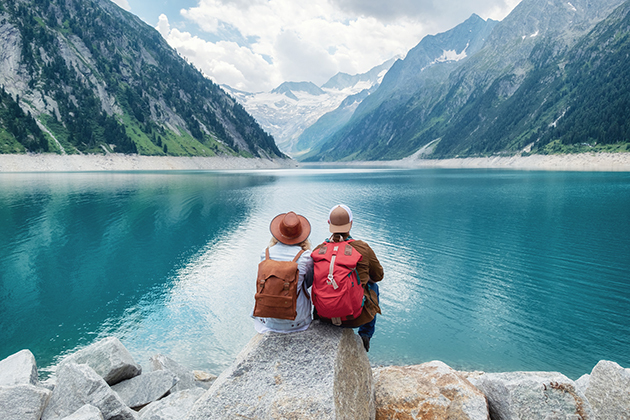 This list of frequently asked questions about annual multi-trip insurance should help you learn more about this type of coverage and if it is the right fit for you. As always, if you have more questions, you can contact us at 800-699-3845. Annual multi-trip travel insurance provides travel insurance coverage for an unlimited number of trips in a single year. This means you only have to purchase a policy before your first trip of the year and you will not have to purchase a policy for additional trips taken over the next 365 days. What does annual multi-trip insurance cover? Within the Arch RoamRight Multi-Trip plan, you will find many of the coverages you are used to in a single-trip plan, such as Trip Cancellation, Trip Interruption, baggage coverages, Emergency Medical, and more. See the table below to understand the benefit limits for this type of plan. *Benefits are provided on an aggregate basis. The maximum limits are applied to the entire term of the policy (one year). **Maximum of one (1) occurrence per year. Are there limits to the amount of trips you can take or the trip length? There is not a limit for the number of trips you can take in one year under the multi-trip plan, but you do need to keep in mind that the maximum trip cost you insured is the sum total of all of your trip costs for the year. If you plan on taking 5 trips, each costing $2,000, you may want to insure $10,000 in trip costs. If you only insure $2,000 and need to cancel your first trip, you will have reached your annual limit for this type of coverage. It is also important to note that there is a maximum trip length for each trip. For coverage under the multi-trip annual plan, trips cannot exceed more than 30 days in length. If you are planning a trip that will be longer than 30 days, you will have to purchase a single-trip policy. If you are spending a semester abroad or traveling around the world on a gap year trip, this is not the best plan for you, as each of those would exceed the 30 day maximum. In sum, there is not a maximum number of days of coverage. You can take multiple 30 day-trips, provided that you return home between each travel period. No single trip can exceed 30 days. Is it cheaper to buy annual multi-trip insurance than single-trip insurance? There are a variety of factors that are used to determine the price of a travel insurance policy. Therefore, an annual multi-trip travel insurance plan may not always be cheaper than a single trip policy purchased for each trip, but a multi-trip plan can provide convenience in not having to buy a policy before every trip in a year. Depending on your travel plans, you may want the higher medical and evacuation coverage that can be found in other, single-trip plans. Before buying a multi-trip policy, carefully consider whether or not all of the benefit limits will fit for your travels. What are the advantages of purchasing multi-trip insurance? If you know that you will be taking multiple trips over the course of the year, there is one big advantage to purchasing a multi-trip plan: convenience. By purchasing an annual plan you do not have to worry about purchasing travel insurance before every trip. You don’t even have to tell us when or where you’re going! Of course, in order for those trips to be covered under your annual multi-trip plan each trip has to be 30 days or fewer in length. How do I get a quote for annual multi-trip insurance? When obtaining a quote for an annual plan, it is important to know that the Arch RoamRight Multi-Trip plan provides four options for a combined maximum trip cost at the time of purchase: $2,500, $5,000, $7,500, or $10,000. Whatever trip cost you decide to insure at the time of purchase is the maximum trip cost you cannot exceed throughout the course of the year among all trips combined. But do not worry, since we know travel can be unpredictable, if you find yourself about to exceed your maximum trip cost on your Multi-Trip Plan, you can give us a call at 800-699-3845 and we will help you find an additional policy that best fits your needs.